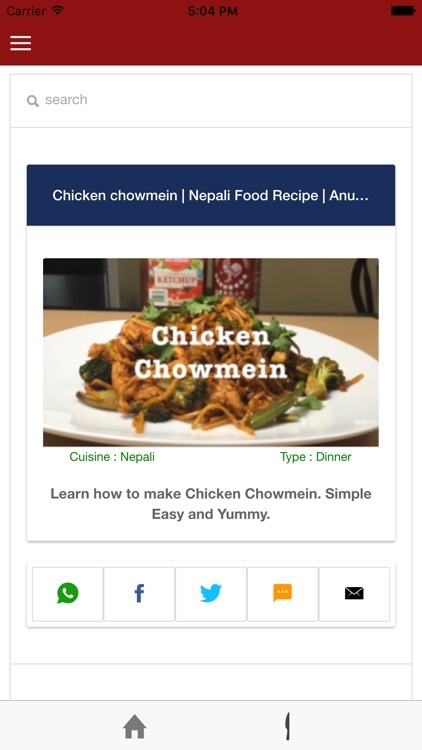 Come, explore and learn how to cook Nepali cuisine in a very simple and easy to the point steps. If you have not tried Nepali cuisine, then you are missing something in life. Everyone can be a good cook! Anup Kitchen app provide offline collection of different kind of Recipes. 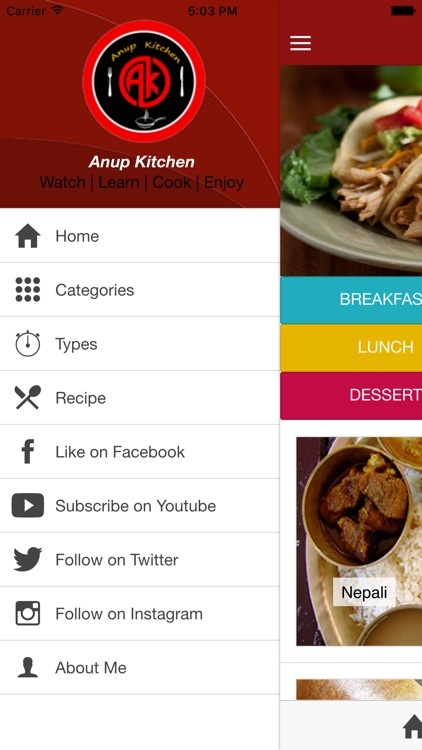 Anup Kitchen app has various recipes according with different cuisines. 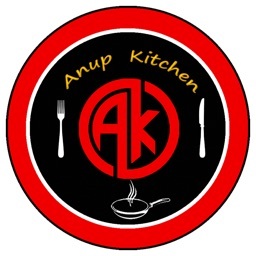 Anup Kitchen has a wide range of cuisine like Nepali, Asian, Indian, American and Others. 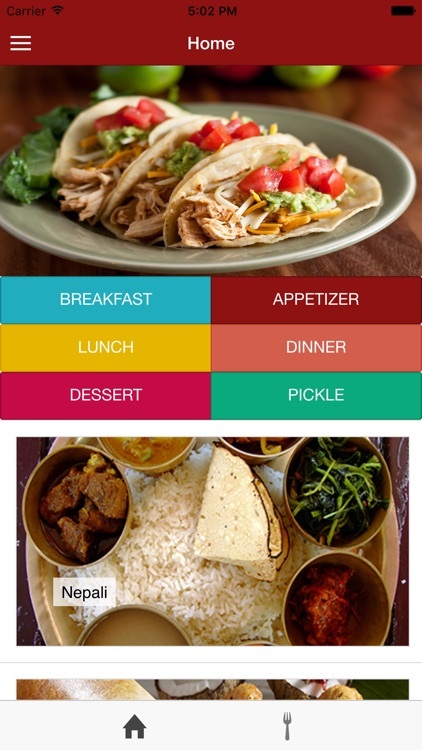 User also can view the recipes through category as Breakfast, Appetizer, Lunch, Dinner and Dessert. 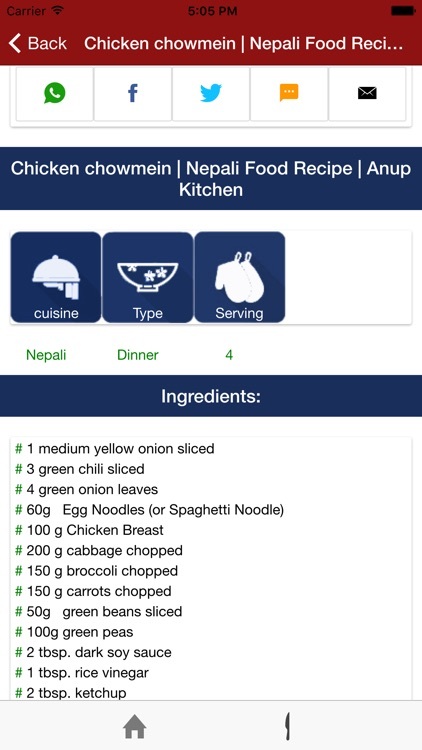 Anup Kitchen app also have its Pickle category in which varieties of Nepali pickle recipes are included. 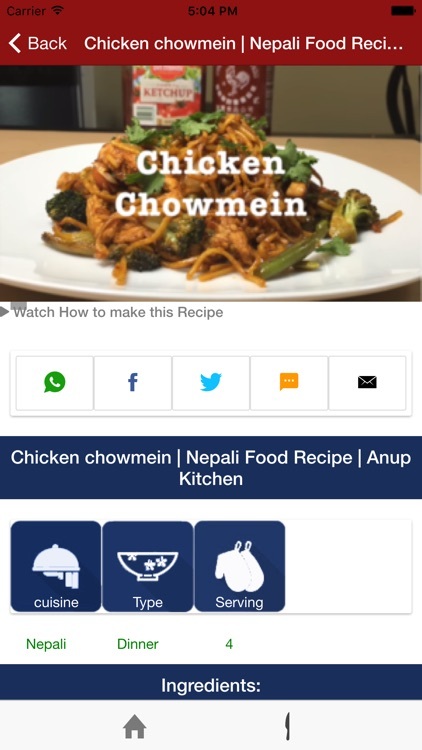 All the recipes in this Anup Kitchen app have been organized and cataloged so that you can relate the recipes by Categories and Ingredients. 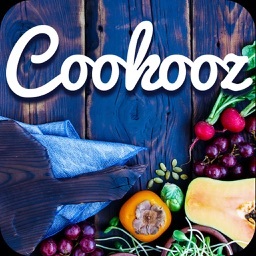 It's the best place to share and find recipes try out various recipes with simple and easily available ingredients. Start cooking at home! Try making delicious foods for yourself and your family. - Complete recipes directions, ingredients and photo reviews and video description. 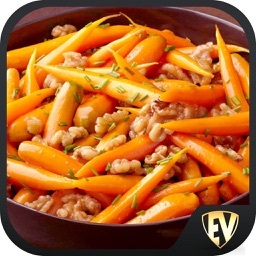 - Search recipes by category or cuisine type or any recipe name. 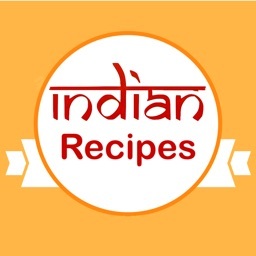 - Simple and easy tutorials to cook any recipe. - Provides cooking duration and number of serves. 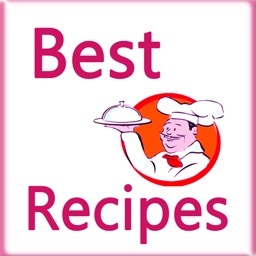 - Sharing your recipes to to family and friends via email, Facebook , twitter and others. 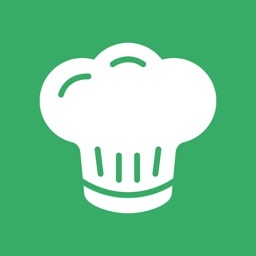 -Share recipes with friends and community. Anup Kitchen app needs internet only when you visit any recipe first time after that it doesn't require internet connection. And is also available in Google Play Store.